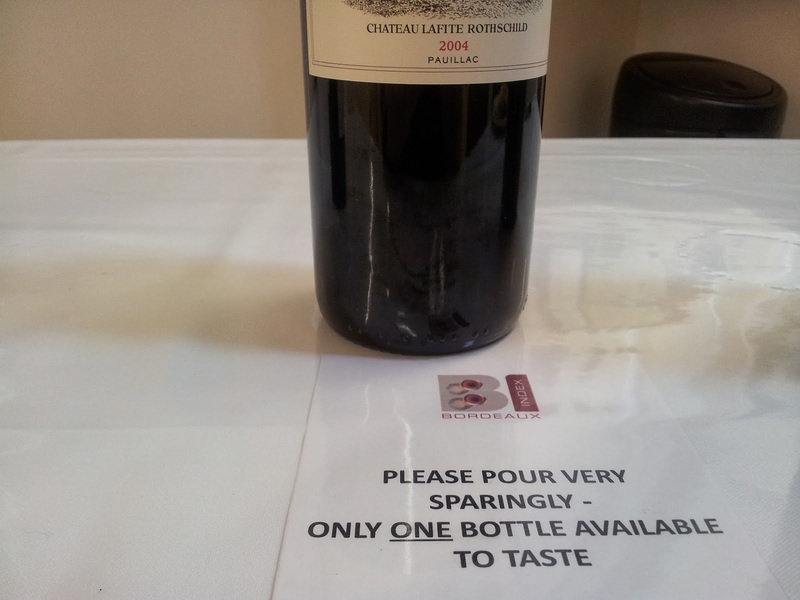 Bordeaux 2004 has always been an unassuming vintage. It was swamped by the hoo-hah around 2003: while that year was all excess, 2004 was unremarkable in all but yield. The weather was fine, with decent rainfall and plenty of sunshine, and good conditions for harvest. Some said that the vines remembered the drought and heat of 03 and over-compensated, but whatever the reason, yields were extremely high, and those producers who couldn’t put in time in the vineyards in July and August, controlling yield by dropping fruit, ran the risk of dry tannins and green flavours. As Stephane Von Neipperg of Canon La Gaffeliere said at the time, ‘Those who did no green harvest produced high yields, and consequently tended to overextract in order to concentrate the middle palate and avoid having dilute wines.’ The market was sluggish (the US had splurged on 2003 and wasn’t really in a mood to buy, and China was but a twinkle in Gary Boom’s eye). Talking of whom, here we are again at Bordeaux Index, the dynamic wine merchant in London’s Hatton Garden of which Boom is the founder. 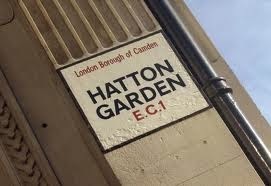 Its neighbours are the jewellers and gem merchants who have traded here for hundreds of years. It's the sort of street where stocky men in tight suits stand in the shop doorways, cracking their knuckles. BI seems very at home. Every year Bordeaux Index shows some 70 wines 10 years on, and this morning the 2004s are lined up. I’ve come to the tasting with high expectations. The 04s are much-loved for their restraint. Oz Clarke told me recently he bought more 04s than any other vintage, ‘because it tastes like Bordeaux.’ The best wines have classic claret profiles – restrained fruit with sharp edgy tannic grip dissolving to a wonderful refreshing juicy finish. There are a few disappointments – I know Palmer is highly praised by many but I didn’t find the perfume that characterises the property. Brane Cantenac was thin (dodgy bottle, we wondered?). The wines that were lacking were not so much over-extracted but simply dull – hollow in the mid palate and finishing on a dying fall. Giscours, for example. You couldn’t fault it for 90% of its length but then it was like the last step of a staircase unexpectedly missing. Some have drying tannins which just aren’t going to get any sweeter. 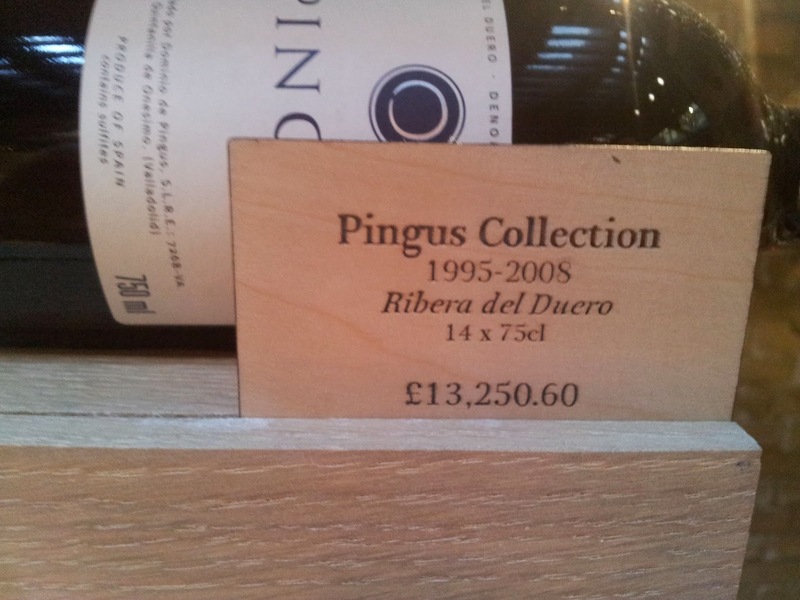 But the highs were very high indeed – and remember also the wines are reasonably priced, by and large. You don’t need to buy Chateau Palmer at £1,300 a case when you can have Talbot at £420. Quite. 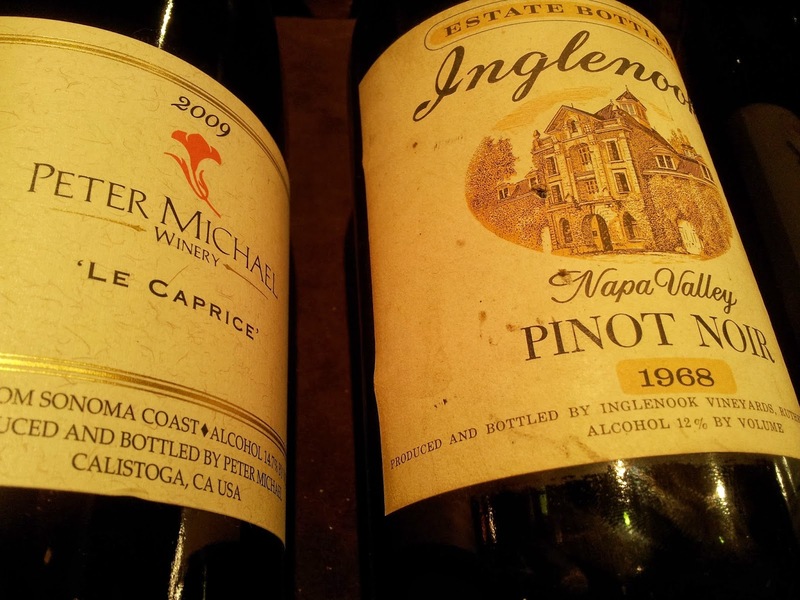 The best wines of this vintage taste classic. Like Bordeaux. Interesting dry pot pourri perfume, very classic palate with restrained blackcurrant, damson and dry tannins becoming juicy. 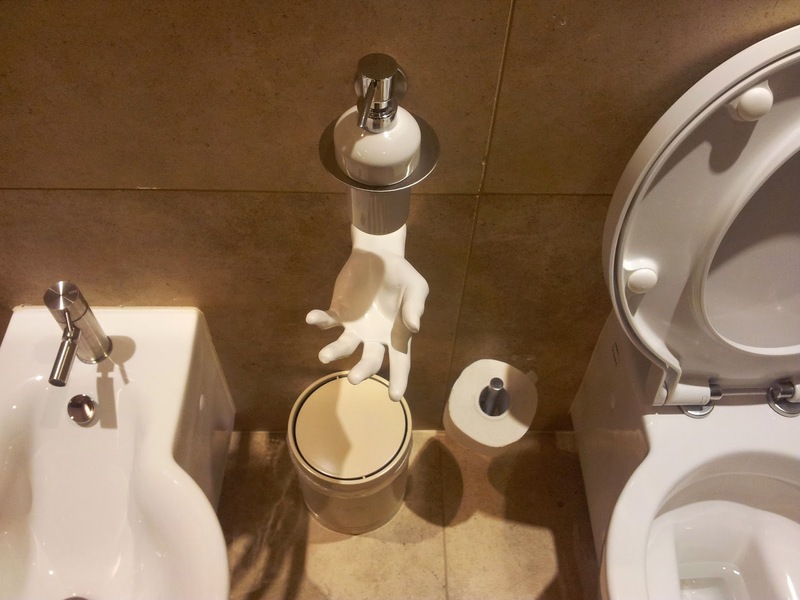 Nice finish but falls off slightly. Very bright very fresh tannins following blackcurrant fruit – power (heat) and refreshing, structured acidity and tannins. The whole like a teetering delicate scaffold, robust enough to stay standing but possessed of an airy weightlessness. Very fine. Really attractive floral nose - violet and mown grass – missing something on the mid palate – some tannic grip?. Open fresh attractive perfumed nose.as above – where is the mid palate? Savoury nose. Open palate not intense but full of restrained fruit (can you be full of something and restrained?). Juicy and incredibly charming, offset by good strong dense chalky tannins that carry the whole thing through. Power and finesse. Fresh nose, open and delicate palate, lots of juice, lots of attraction, long and sweet but again a slight feeling – is this it? Where is the grip on the mid palate? Savoury, meaty nose, full of life, (more than Palmer) much more vibrant and alive – good strong tannic length that is just getting juicier. Dense sweet intense juicy very ripe tannin. Juicy fresh fruit - blackcurrant and blakberry. Of all the wine regions of the world, the Yamanashi prefecture of Japan has to be one of the least-known. 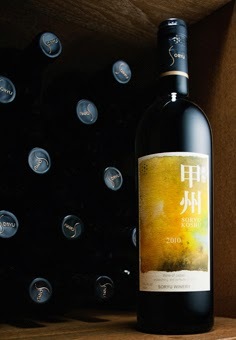 Cosmopolitan consumers may be on nodding terms with Chinese Cabernet Sauvignon, happily open southern English sparkling, and are familiar with wines from Turkey, Georgia or Moldova, but there aren't that many who have tasted Koshu of Japan. 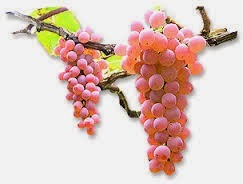 Koshu – a large, pink, thick-skinned and fragrant grape – has been grown as a table grape in Japan for a thousand years, but only in the last century has it been vinified. And only since 2010 has it been officially recognised by the EU as wine grape and thus allowed into Europe. The efficient trade organisation Koshu of Japan, a grouping of 15 wine producers, was set up in 2009 by Shigekazu Misawa, managing director of Grace Wine, one of the most internationally-recognised producers. 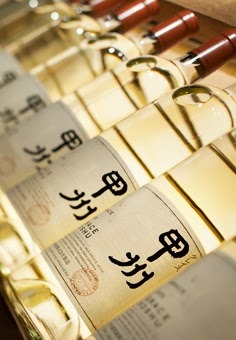 Koshu for wine is produced primarily in high vineyards in Yamanashi province, at the foot of the 3000m Mount Fuji. About 300ha is planted, the majority Koshu but a fair amount of international varietals as well. 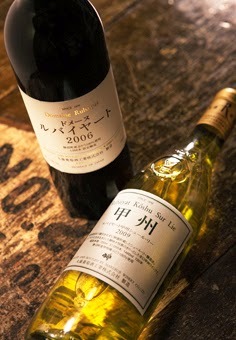 Grace Wine, for example, has four hectares of Koshu and 9ha of Bordeaux varietals and other grapes. It produces a US$100 Chardonnay which sells well in Australia, the winemaker (and owner’s daughter), the Bordeaux-educated and internationally-trained Ayana Misawa says. KOJ’s aim is straightforward: to increase awareness of Koshu in international markets – and, according to Misawa, to increase plantings to 3000ha within 10 years. Judging by the latest packed London tasting and standing-room-only seminar, with the eminent Gerard Basset MW MS OBE on the panel, it is succeeding in the first aim. Jancis Robinson MW OBE is a keen supporter, praising the wines’ ‘delicacy, purity and limpidity’. Koshu is an intriguing grape, producing wines that are both delicate and aromatic but with a certain food-friendly robustness. At their best the wines’ high acidity is contrasted by white flower and lychee aromatics – which can sometimes slip over into Turkish delight and parma violets – and a tart, tannic finish. Some examples are aged sur lie, giving them exotic yeasty notes reminiscent of sake. Steve Daniel of distributor Novum Wines lists five wines from Grace and places them both in the restaurant market and in independents, and top outlets like Selfridges. ‘They are my kind of wine,’ he says. ‘Ethereal, esoteric, with that tense minerality that reminds me of Santorini, or Etna – you can taste the volcano.’ While most exponents say the finest match is with sushi, some, like Roger Jones at the Michelin-starred UK restaurant the Harrow at Little Bedwyn, insist they go well with British food. Koshu has many fans. Selfridges wine and spirits buyer Dawn Davies reports healthy sales of two wines from Grace, despite prices of around £20 (€24), and Marks & Spencer’s Emma Dawson is taking the Sol Lucet from Kurambon winery, slightly cheaper at £12.99 (€15.60). Sweden’s Systembolaget is interested too, its buyer Johan Larsson telling Meininger’s he has snapped up 3000 bottles of Grace’s Private Reserve. He feels it offers a point of difference - ‘Koshu is not your average Sauvignon Blanc or Chardonnay. It gives personality; it’s something to write about’ – and also notes that Sweden is the biggest consumer of sushi outside Japan. Koshu fits nicely with the latest trends in white wine consumption – for lower alcohol (Koshus seldom come in at more than 12%), for aromatics, for freshness – and a general interest in esoteric, unusual wines. There’s also a craze for all things Japanese, Davies says, pointing to the popularity of the 20-odd sakes and Japanese whiskies she lists. Koshu’s rise has been swift, and it’s not difficult to find sceptics. The Daily Mail’s Matthew Jukes, who consults for upmarket London restaurant Bibendum (no relation to the importer of the same name), balks at what he describes succinctly as ‘nose-bleed’ prices. There are many wines which polarise opinion, but few which give rise to such heated debate. Koshu’s fans reckon its detractors confuse subtlety for dilution, its critics say it’s a case of the emperor’s new clothes. The arguments will continue, but there is no doubt that the wines will continue to intrigue. Notes of brioche on the nose and yeast on the palate. Bone dry on the attack then very gentle waves of fruit – lemongrass and lime – mitigate the dryness. Finish is almost juicy. Again – sushi! Bone dry, steely, tightly-wound. Fresh citrus flavours on the palate together with cut Granny Smith. Intense. White flowers, apple flowers and pink blossom with hints of clove and cinnamon – on the palate, Turkish delight and sandalwood. All tank fermented and aged. Spicy. 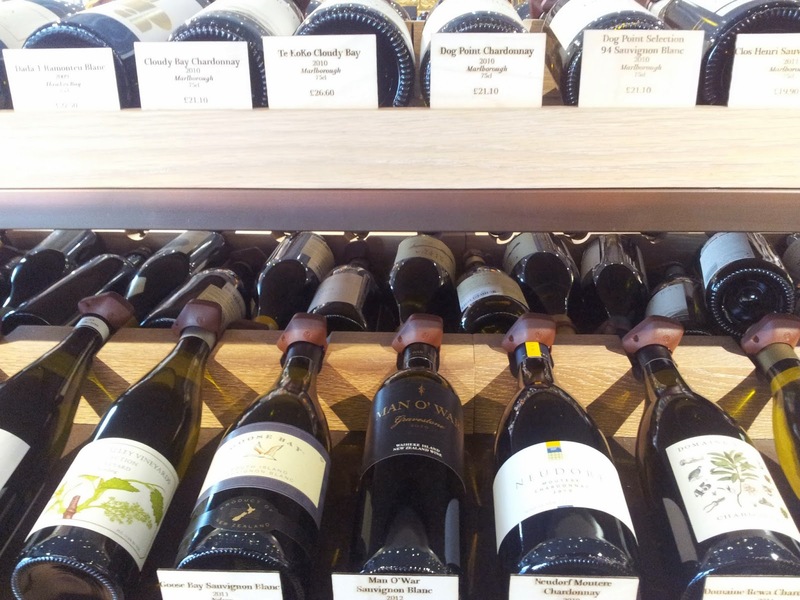 The London wine world prides itself on its cosmopolitanism, its central position between the great markets of east and west, its close relationship with dozens of renowned chefs and familiarity with some of the world’s greatest restaurant cellars. But it didn’t know what to make of Hedonism. Never before has a wine shop generated such fascinated interest. “Shop”, in fact, is the wrong word: more than anything, Hedonism is theatre, performance art, a kind of vinous grand guignol. Nobody had seen anything like it. Victoria Moore of the Daily Telegraph suggested that if Tutankhamen had had a taste for fine wines, this is what his tomb would have looked like. It was as if Angelina Jolie, say, had turned up unannounced at a suburban dinner party. Eyebrows were raised, and they stayed raised. Hedonism has hardly been out of the news since it opened its doors in Mayfair’s Berkeley Square in August 2012. From the back story of its extraordinary proprietor, the billionaire Russian exile Yevgeny Chichvarkin, hounded out by a vengeful Vladimir Putin, to the lavish verticals of Chateau d’Yquem, Screaming Eagle, Sine Qua Non, the vast collection of rare whiskies, the display of nine-litre Salmanazars of Bordeaux first growths, the £58,000 Mouton vertical, the 27-litre Torbreck The Laird, it is gold dust for journalists. Viner says they ‘consciously worked to defuse those issues [of intimidation] and also to make wine fun.’ Indeed, there’s a pleasing Willy Wonka feel to some of the seasonal displays, designed by the window dresser who does Harvey Nichols. For Halloween they put in motion-activated scary voices around the shop, and a coffin complete with skeleton. On April 1st they put ‘Closing Down – Everything Must Go’ in the window. ‘It fell on a bank holiday but it still had a good impact, especially on the staff, who didn’t know,’ Viner says, deadpan. 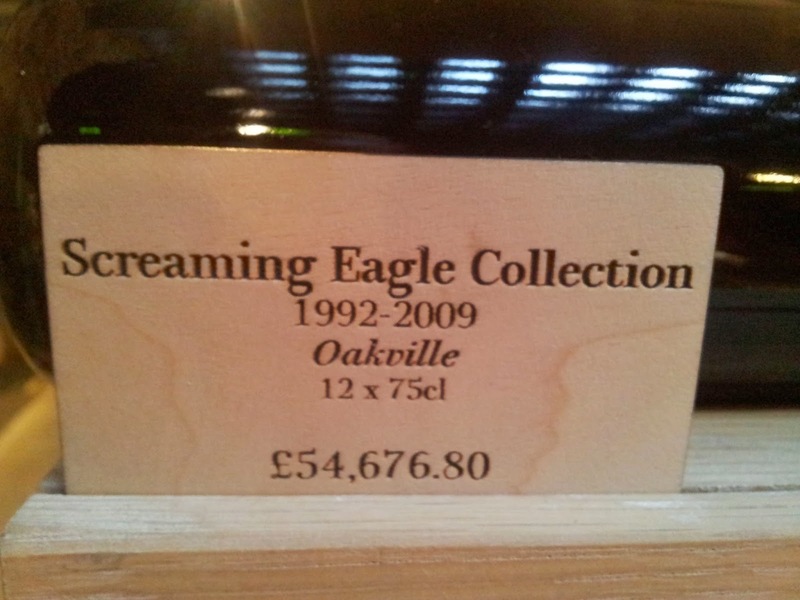 That’s all very well and democratic – you can look and touch, and have a good laugh, but how many people pull out their (titanium) credit card and pay £25,712.80 for the magnum of 2006 Romanée Conti from Domaine de la Romanée Conti, or a bit less than £15,000 for a bottle of 1940 Macallan Fine and Rare 35-year-old whisky? Not very many, naturally. Viner says he’s made ‘several’ sales of over £100,000, but stresses that out of the 7,500 lines it carries (including over 1000 whiskies, dozens of gins, rare bourbons, sake, tequila and almost every other kind of spirit) , Hedonism lists 800 wines under £30, and people regularly drop in for £15 bottles. This lower end of the list is eclectic and calculated to appeal to a discerning non-expert: Greek wines like Gaia’s Wild Ferment Assyrtiko from Santorini, Vin Jaune, a nicely-chosen range of lesser-known Spanish DOs, half-bottles of Napa icons like Shafer’s Hillside Select, interesting picks from Portugal, Germany, Sicily and Sardinia. Beckett went on to praise the inclusion of ‘difficult to source’ wines like Equipo Navazos Sherry, Bussaco Branco Reservado or Château Chalon Vin Jaune. Another journalist, the food writer Fiona Beckett (no relation), had high praise on her website Matching Food and Wine for the staff, which she found the ‘affable kind of chaps who wouldn’t look out of place on the floor of Majestic.’ It is this common touch which makes Hedonism such an unusual experience. The staff are indeed affable, and seem equally at home whether pouring samples at the big tasting tables for billionaire whisky collectors, the Prince of Malaysia and his friends, or a local worker in his or her lunch break looking for a £20 bottle for supper. It’s a mix of the high serious and the downright eccentric. Favoured clients who come in for tastings can choose their music – it’s not unusual to hear Tom Waits, Joy Division or the Nutcracker Suite swirling round the precious wines – and, because the tasting area is kept at a brisk 17C, they are given fluffy white blankets to put over their shoulders. Then there is the exotic presence of the owner. Yevgeny Chichvarkin made his fortune in his 20s with Evroset, Russia’s biggest mobile phone company, which he sold in 2008 for (an unconfirmed) US$400m. He had to leave Russia in 2010 when he was accused of extortion and kidnapping – charges which have since been dropped and which he insists were cooked up by the Putin government, which he loathes and openly accuses of murder. He has never been back. He is a tall, dishevelled, handsome figure in his mid-30s, limping (he suffers from gout), sometimes draped in a blanket. He wears a voodoo-ish amulet around his neck, and the staff treat him with kindly respect. He insists he knows nothing about wine – ‘Alistair advises me and says I have terrible taste’ – but his formidable business acumen is in no doubt. The idea for Hedonism hit him when he first came to London and happened to have bottle of a fine Rioja, the Roda Cirsion 2001, and found it impossible to get hold of another. ‘That’s when I thought of an upscale wine shop with luxury service’. London is the perfect place for such a shop because he knows of nowhere else with such a concentration of the super-wealthy. It will take them three years – 2015 – to break even, he says. Viner, who joined in 2011, says it took ‘several million pounds’ and a year of ‘looking in all corners of the world for iconic wines’ to build the stock. He used his extensive contacts list to ferret out wines from private collectors, US and UK brokers, auctions and merchants. The signature collections like the Screaming Eagle and Sine Qua Non, and the 128 vintages of Yquem, came from dozens of different sources, ‘about 70 different people, private collectors,’ Viner says. 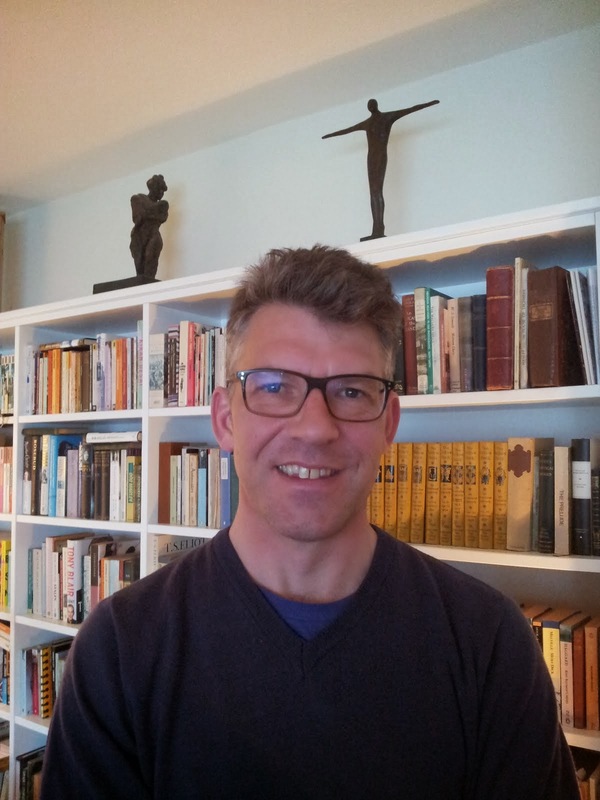 ‘That gave me even more hair loss and sleepless nights.’ He likes to search out the quirky. ‘I’m always looking for interesting things, that may be affordable but are also exciting and newsworthy. It’s all about looking underneath.’ He’s just bought ‘a huge collection of kosher wines’, he says. Hedonism could so easily be ludicrous, but the wine world has taken it to its heart. Winemakers visiting London make a point of dropping in and paying their respects to Chichvarkin and Viner, and the coolly efficient CEO Tatiana Fokina. Dom Perignon chef de cave Richard Geoffroy was there recently. It’s a natural fit, you might say – of course the likes of Geoffroy would welcome any merchant which puts his wines in front of Mayfair’s millionaires. What is more telling is the near-universal vote of confidence from journalists, a group which is quick to condemn excess. Look at the ridicule heaped on Penfolds for its Ampoule, a hermetically-sealed capsule of 2004 Bin 42 Kalimna Cabernet Sauvignon in a wooden display case that retails for more than £100,000, and of which only twelve have been made. According to Penfolds, when the lucky buyer decides to open the Ampoule, ‘a senior member’ of the team will ‘travel to the destination of your choice … to personally attend a special opening ceremony’. As an exercise in hubristic folly it couldn’t be bettered. In fact, Viner got the only Ampoule allocated to the UK. After a year and a half it’s still there in the corner, gathering dust, its £120,000 pricetag hanging limply. Hedonism has many better things for the customers to spend their money on. 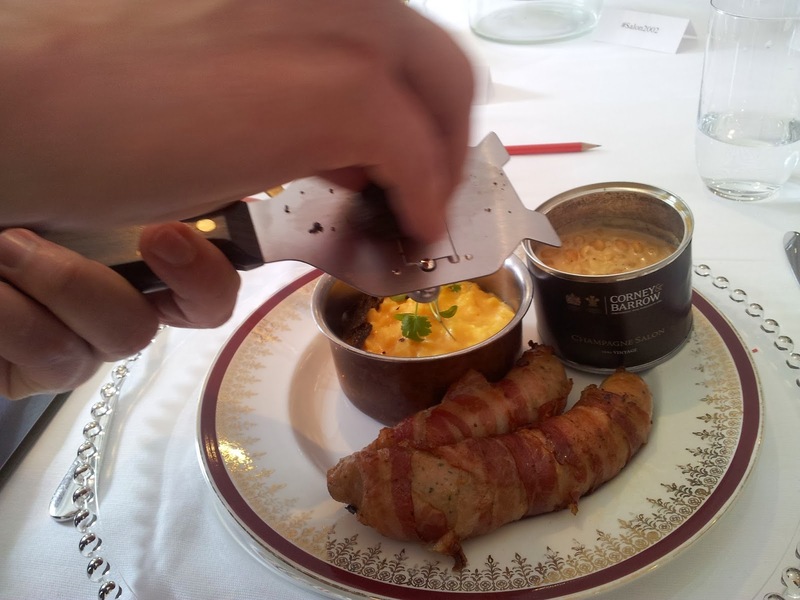 Corney & Barrow celebrated the launch of Champagne Salon 2002 with a full English breakfast, which of course included shaved truffles and Haricots a la mode Delamotte (baked beans, cooked in Salon’s sister wine, if you really need to ask). The nice upstairs room at Mess at the Saatchi Gallery was flooded with sunlight, on a morning of such luminous gorgeousness (such as only Chelsea can provide) it was no surprise to see London’s finest wine hacks turned out in force. Corney’s even coaxed Decanter’s Sarah Kemp out of her lair in the Blue Fin Building in Southwark. Full-on full English, bacon-wrapped sausages and all, washed down with vintage Champagne at ten o’clock in the morning is what they call a no-brainer. Salon, of which the 2002 is only the 38th vintage since the founding of the house by Eugene-Aimé Salon in 1905, is produced in minute quantities: there are 62,000 bottles and 5000 magnums of this vintage. Compare that with Dom Perignon’s six million plus (according to most best estimates) and you begin to see what ultra-exclusive means. Corney’s share their allocation with Vineyard Brands in the US, Alfa in Singapore and Paolo Pong’s Altaya in Hong Kong, leaving about a pallet and a half for us, and guests including Matthew Jukes snapped up cases there and then, so that’s a few less already. 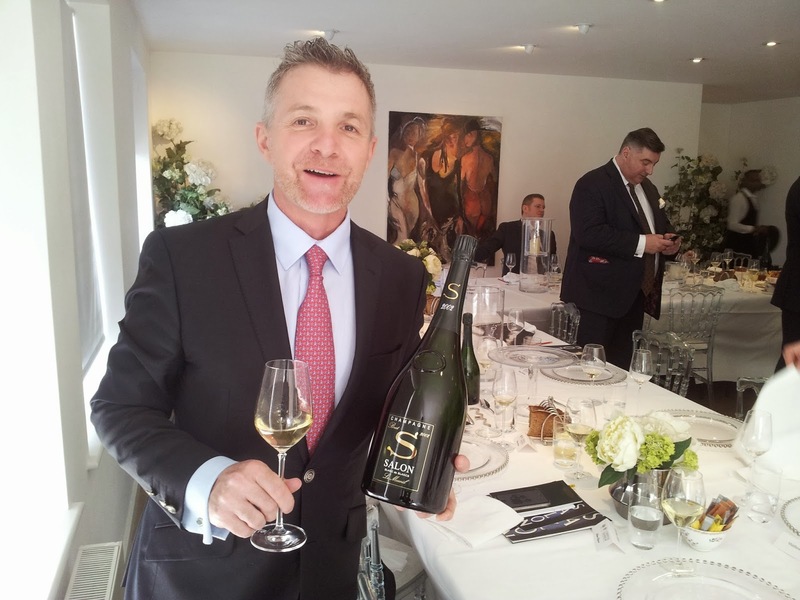 Chef de cave and Salon Delamotte president Didier Depond described 2002 as ‘one of the very best vintages in Champagne. I compare it with 1982 for quality.’ 2002 is the first vintage since the 1999 (which was launched in Notting Hill’s fish and chip restaurant Geales in 2011). According to Depond, Salon is the only house not to produce a 2000 vintage, which he dismissed as ‘very trendy – a perfect marketing vintage.’ Nor a 2012, though of course they have very much less choice of grapes: Salon is made from pure Chardonnay grown exclusively in Mesnil-sur-Oger in the Côte des Blancs, from a one-hectare plot owned by them, and 19 other smaller plots. Vinification is in stainless steel and there is no malolactic fermentation. The 2002 was disgorged at the end of 2013 after ten years on the lees. The next Salon releases will be the 2004, 06, 08 and 2013. The 2008 will be released around 2024, only in magnum, ‘to preserve the wine’s intensity and acidity,’ Depond said. Indeed. A light-gold hue tinged infinitessimally with green, and – apart from the white flowers, the blossom, the fine acidity – a lovely hint of rain-washed hedgerow. And those bubbles do dance. 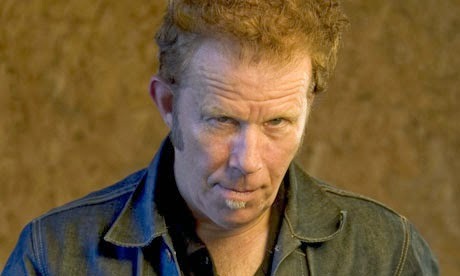 Others agree (although not exclusively: a well-known critic did murmur afterwards that he was ‘underwhelmed’). Jukes obviously loved it, and Richard Hemming, who writes for jancisrobinson.com, praised the wine’s ‘quiet authenticity’. Champagne Salon 2002 is sold exclusively by Corney &Barrow in the UK, priced at £1,325 per case in bond. One case only per customer.